Sheena and I booked a nice little vacation with our friends Tim & Jess to Cancun, Mexico. We talked about it for a while and we booked well in advance. Usually I check on things to make sure we’re all good to go when it comes to trips. For some reason, I overlooked checking my passport. On Friday morning, before I left for work, I checked out our passport to discover that mine was expired! The flight was on the following Wednesday. 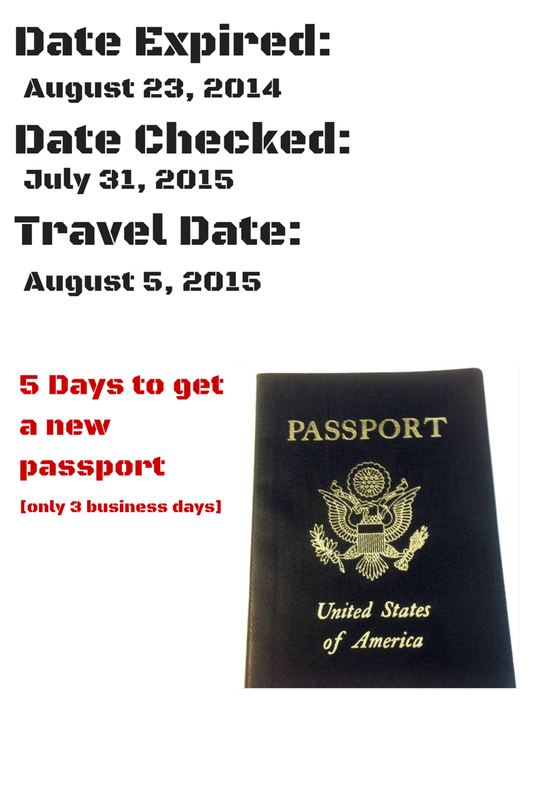 That gives me 3 business days to get a renewed passport! Stuff like that gets me very nervous. I hate doing things last minute, so this is totally not my zone. I didn’t want to over think it until I got some facts, so at this point I’m on “Level 1 Freak out”. Once I got into work on Friday morning (around 7am), I immediately start looking up how to expedite the process of renewing my passport. Everything I read said that the process would take 3 to 4 weeks! That brought me to “Level 2 Freak out”. I figure I’ll call the agency to talk to someone to really see how long it would take. I assumed that the 3 to 4 week time frame is for mailing it in. I would be going there face to face to handle things. Then I discover the passport office doesn’t open up till 10am! So now I’m at “Level 4 Freak out”. I’m not visibly sweating, but my mind is racing. I didn’t want to wait 3 hours to talk to someone. I needed answers now! Then I remembered Sheena mentioning Lalu Uncle before I left the house that morning. 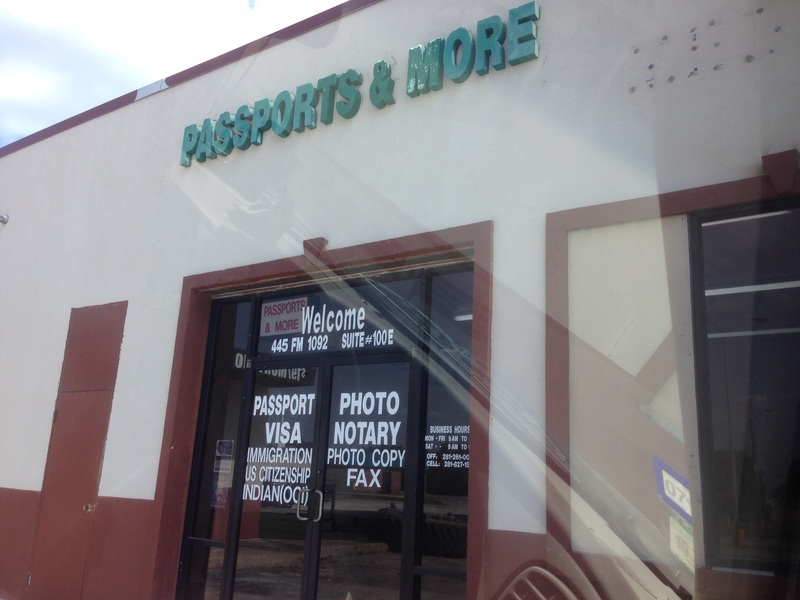 He owns a business called Passports and More in Stafford, TX. He basically deals with this stuff all the time. I frantically look him up. I call. No answer. I email. No immediate response back. [keep in mind, it’s still pretty early, so I don’t really expect anyone to be at work] Then a few minute later, he calls me back. He assures me that I’ll have a new passport ready by Tuesday evening. That’s a little too close for comfort, but at least it’s doable. Now I’m back to “Level 1 Freak out”. Friday after work, I head to his office. The lady behind the desk takes down all my info (and my money) and says I’m good to go. Now the hard part begins… waiting. Tuesday comes along. I don’t want to be one of those people that’s a bother to others (especially to those that are helping me out), but I can’t help myself. Around noon, I give the office a call and they said that it’ll be ready after 5pm. I get there right at 5pm and sure enough, I’ve got a new passport in my hand. Cancun, here I come! Why was I nervous for you whilst reading this whole blog? thanks for being nervous! I was hoping to share my nervousness with anyone that read this!